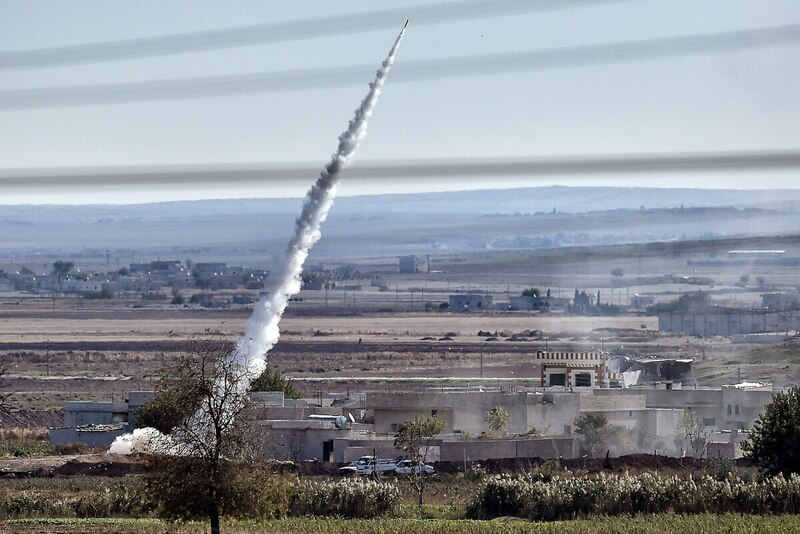 ANKARA, Turkey — On the morning of March 25, a Russian-made Syrian scud missile estimated to have been fired from a range of 180 kilometers exploded near the Reyhanli district in Turkey's southernmost city of Hatay, neighboring Syria. The projectile left a 15-meter-wide crater in a stream bed, broke the windows of the surrounding houses, caused the roof of a building in the nearby military unit to collapse, damaged two military vehicles and inflicted minor injuries on five Turkish civilians. The Syrian scud luckily did not cause any casualties on Turkish soil but left behind pressing questions: Why did the NATO Patriot systems stationed in southern Turkey not intercept the Syrian missile? How vulnerable iswas Turkey to tactical missile threats from its unstable neighbors to the in its south? The Turkish military headquarters said that Turkish howitzers immediately retaliated and shelled unspecified Syrian targets. Military officials told Defense News the Syrian missile had was probably been probably fired from a Russian naval base in Tartus to target and aimed to engage anti-regime rebels who have been fighting against Syrian President Bashar al-Assad's forces since 2011. Germany, the Netherlands and the United States currently provide two Patriot batteries each, located in the provinces of Kahramanmaraş, Adana and Gaziantep. A Feb. 20, 2013, Defense News story said that the six Patriot anti-missile batteries deployed in Turkey ostensibly to protect Turkish airspace from a potential missile strike from neighboring Syria, in fact, had the primary purpose of protecting a radar that would track Iranian missile launches, instead of protecting the Turkish civilian population or military bases. The story quoted officials and analysts as saying that the mini missile defense architecture actually provided the pretext to guard a US-owned, NATO-assigned radar deployed since 2012 in Turkey in the event hostilities break out with Iran. NATO officials vehemently denied the story. Slightly over two years later, a Turkish military official said that the Syrian scud had not been was not intercepted because it fell in an area outside the radar range of Patriot batteries in Turkey. "Patriots cannot provide a blanket protection to vast lands in their vicinity," the official said. "They can only protect areas in their immediate vicinity." Sitki Egeli, a missile defense expert, agrees. He said that the Patriots are not designed to protect large swathes of land; wherever they are deployed, they can only protect areas in their near vicinity. And, Egeli said, the X-band NATO radar in Kurecik (in eastern Turkey) is designed not to intercept a Syrian scud coming from 180 kilometers away but (probably) an Iranian ballistic missile with a range of 2,000 kilometers. Aware of its vulnerability to such missile attacks, Turkey — although not yet successfully — designed in 2007 designed a program to indigenously develop and produce short- and medium-altitude air defense systems. Ankara chose a partnership of military specialist Aselsan and missile maker Roketsan, both government-controlled companies. In October 2013, Aselsan completed the test launch of its first domestically developed and manufactured low-altitude air defense missile, Hisar-A, and set off to work on Hisar-O, the medium-altitude system. Aselsan, the prime contractor, is developing all radar, fire control, command, control and communication systems for the program while Roketsan is acting as the executive subcontractor. Ideally, the Hisar-A system, which will provide protection against all kinds of airborne targets thanks to its vertical launch capability, will enter the Turkish military inventory in 2017, but industry sources said the program faces delays due to technical snags. When combined and made interoperable, Hisar-A and Hisar-O will destroy threats at low-medium altitude. The program involves the development and production of two types of ground systems, self-propelled armored and wheeled vehicle-mounted air defense missile systems, and the missile. Hisar-A is an air defense missile system mounted on a self-propelled armored vehicle and can be fully autonomous by means of 3D radar, electro-optic system, command, control and fire control. Hisar-O is composed of one battalion headquarters and headquarters company and three batteries, each of which has a sufficient amount of launchers, missiles, radars, command, control and communication systems and other support equipment.